Yet's LRS leverages xAPI, providing you with the benefit of open source data interoperability. Combine the data sources throughout your learning ecosystem into a unified and meaningful system of record comprised of the activities and experiences of learners in your organization. Leverage open source learning products to produce your organization's learning experience graph. The modern learning ecosystem is a web of connected tools, experiences, relationships, and content. Getting to sensible data and metrics across all those component pieces can be a complex job if you don't have the right connections in place. 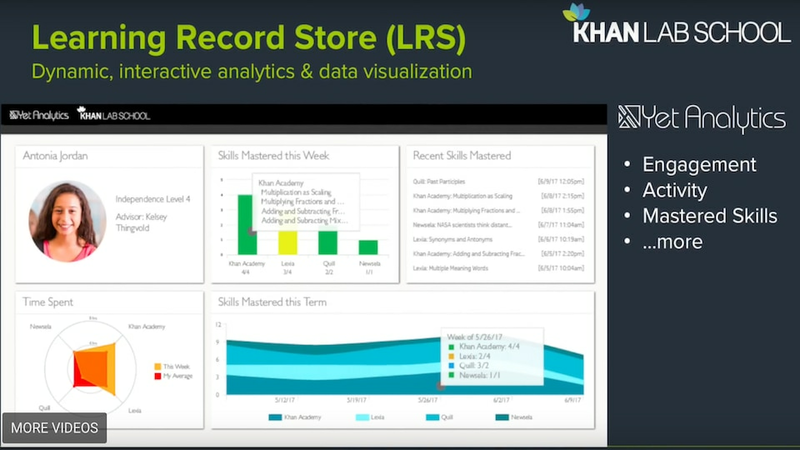 Yet's xAPI Learning Record Store is designed for just that – to collect the data from across your learning ecosystem, and provide you an analytics dashboard to measure learning activity, resource use, and engagement. What if we could analyze users’ interactions with a technical Q&A forum to identify topics that may warrant additional training or performance support materials? 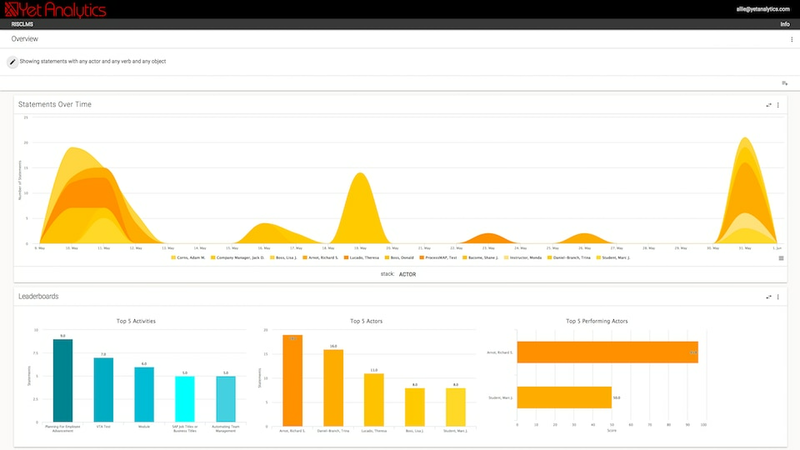 Exploring the high resolution RISC forum data with the Yet xAPI LRS visualizations, we can quickly and easily identify where time is getting spent, what the hot topics are, and who the highly engaged forum influencers are. Some aspects of learning are easy to measure, like information retention – but others, like content engagement, learning preferences, and collaboration, have traditionally been very difficult to measure accurately and collect at scale. 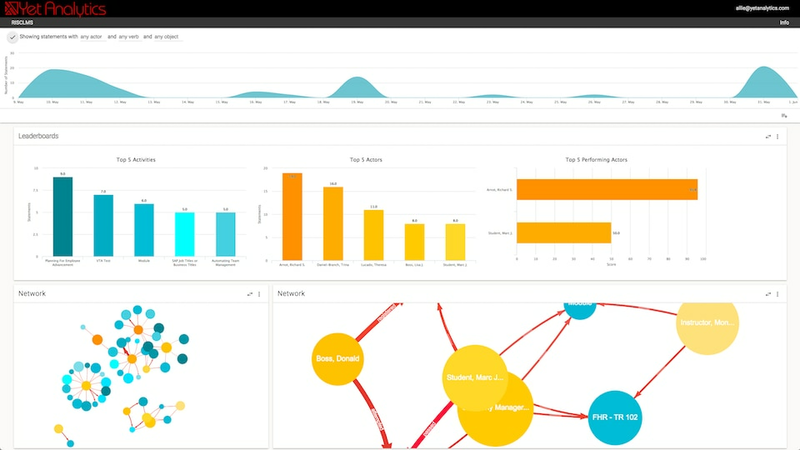 xAPI can provide a new level of detail to learning data, allowing for different kinds of analysis. 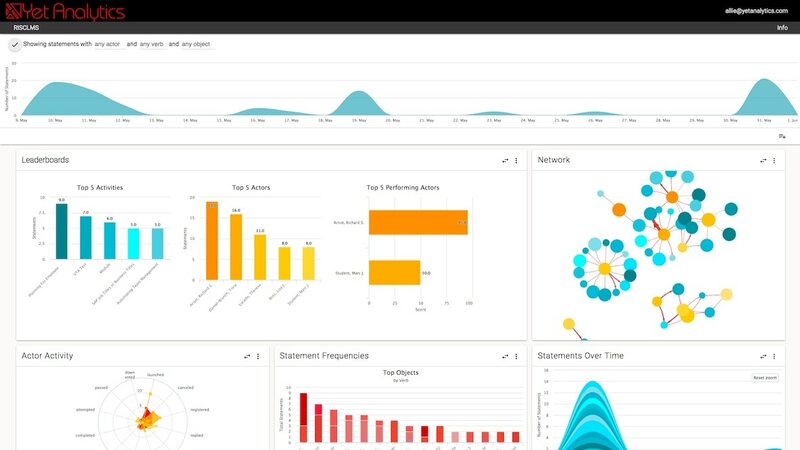 xAPI lets you collect data from multiple systems, not just your LMS, so you can run metrics and quantify the impact of all your learning tools.